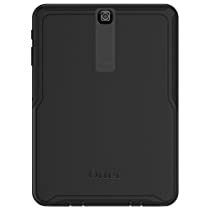 The OtterBox Defender Series case for Samsung Galaxy Tab S2 9.7" provides heavy duty protection against drops, dust and damage without taking away from the usability of your tablet's features. The Defender Series case offers triple-layer protection and is built from a high-impact polycarbonate shell, durable silicone slipcover and a built-in screen protector, making it one of the toughest cases on the market. Why else do you think we called it the Defender Series? I bought my Galaxy S2 back in May of 2016 and have been waiting for Otterbox to finally release a case for it. I used a generic folio case with keyboard but it does not even compare. The case its self is like any general Otterbox defender series case. Comes with the case, built in screen protector and a hard protective cover/stand. I bought the frustration free packaging, saving money is awesome. By itself, the case feels oddly light but when the S2 is placed into it, the tablet has very nice weight to it. It has the rubberized backing that holds well to your hands, it does not slide around very easily. The case does not impair the on board audio at all. The side buttons for the power/volume fit well and are responsive. Included with it is the hard cover/stand. While I may not use the stand a lot simply because I prefer to hold it. The stand has two different viewing angles which would help with typing on the tablet or just general browsing. While you cant very easily access the micro sd/sim cards being similar as the phone cases. At least for me, those are kind of a plug and done thing so it does not bother me at all. My favorite thing about it is the hard cover to actually protect the screen. If you have a defender series phone case, the hard cover is made out of the same material like the belt holster. Its the very hard plastic'y material but it feels like it holds very well, it even has little rubber rests on it. 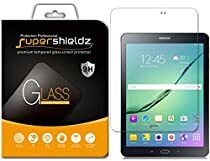 I am gone all the time with school/work/clinicals so my tablet is thrown in my backpack or jump bag so I am always hesitant about it to protect the screen even though I had a added screen protector on it previously. Which is a great ease of mind kind of thing. My only complaint is the lack of color options. Similar to my Galaxy S7 edge, the defender series has a lacking variety of colors which just makes me sad; In the famous words of Henry Ford, "You can have any color as long as it's black." All in all I give it a solid 5/5 stars. I will update as I get a better feel for the case. ...you owe me a manicure! 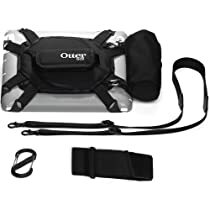 If you're reading this, there's a good chance that you already know that if your devices tend to fly out of your hands and down flights of stairs, or out of speeding automobiles, you want it nestled inside of an OtterBox case, in particular, an OtterBox from The Defender series. 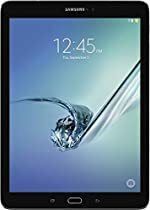 When I first got my Samsung Galaxy Tab S2, the first thing I did was to look for a case, because yes, I'm one of those people that devices seem to fly out of my hands totally unprovoked. Unfortunately, my choices were limited, hence the cheesy pink case shown. When this bad boy arrived, there was a sigh of relief, and with great anticipation pulled it out of the packaging. If you've ever had an OtterBox before, you know that there is always a possibility that it's going to be a bit of a challenge to get your device in the case. That's the price you pay for the ultimate protection. With that in mind I studied the little how-to diagrams as if my final grade depended on it. Looks pretty simple and straightforward. Better yet, it shows that it can be done without any tools or engineering skills. The first two steps were no problem. Step 3, on the other hand, proved to be a little more of a challenge. Okay, a lot of challenge. You must loosen 9 tabs that are on the perimeter. It helps if you can do them all at once so that the 2 pieces can easily separate. Since it would take a multi-armed deity to accomplish that feat, I tried to do it as the diagram indicated, with my hands. Those tabs do not budge. After much struggling I tried to pry them open with my nails. Both thumbnails gone in an instant. It was apparent that I would indeed need tools. As you might imagine, someone who is concerned about her manicure only has one set of tools. And yes, the cuticle Nipper turned out to be the exact tool that this delicate operation required. As the photograph shows, if you can prxy up those three side tabs and slip your hand in, you can get the rest of the tabs easily. Don't think you can open just the one side and slip your device in, it's better to remove it completely. Although you lose a bit of screen sensitivity, all buttons work. Yes, it's big. The sleek look of the tablet dissappears. But if you're a butterfingers like me, this is the perfect protective case. 1st layer of protection: two plastic pieces, a front cover(plastic screen protector) and back cover. it combines together on the side of the device (example: the side of the device where the volume button and power button are). clipping it on and off gets annoying. the clips are small and have to use your finger nail to unclip. 3rd layer: cover the back portion of the device as well as the corners. it is detachable. make the case more bulkier. very hard plastic. annoying thing is that it cover the back camera part. you also have to pinch as the headphone/charger flap to open it. -- the 3rd layer of protection covers the camera hole on the back. -- headphone, charge flap dont seem well: flaps connected to rubber outlining of 2nd layer of protection. this causes the flap to get out of place when use the flap and you have to readjust it every time so that it can fit back into its place. it you dont then there is a small gap that stuff can get into(the 1st layer of protection is under the rubber part, but stuff can still get in there). it is annoying after a while. takes a couple of seconds, but still annoying. the flaps also put pressure on charging cable which i think can displace it over time. -- the 1st layer of protection is annoying to take off and on. its is more time consuming than slipping, say rubber case on, but since this is for extra protection it is understandable. -- for the price, i was expecting a very perfect product, but it does have flaws even though they are somewhat minor. i bought it and i wont return it but i still think it is too high. the problems are minor, but having no problems would have been better.